I love my carpet!Today was a very exciting day watching Rizmi and his crew changing the look of my house by covering the stairs with the most beautiful, gorgeous and sophisticated carpets from Italy!I chose the carpet from his samples but seeing it done on my stairs was the best! Very professional and detailed oriented, Rizmi and his crew made every effort to achieve the look I desired. Since the first time I had met Rizmi he understood what I wished to have and he succeeded. From the beginning of the process to its final outcome today he kept me fully informed of the progress. I am having a big smile on my face because I love my new carpet! 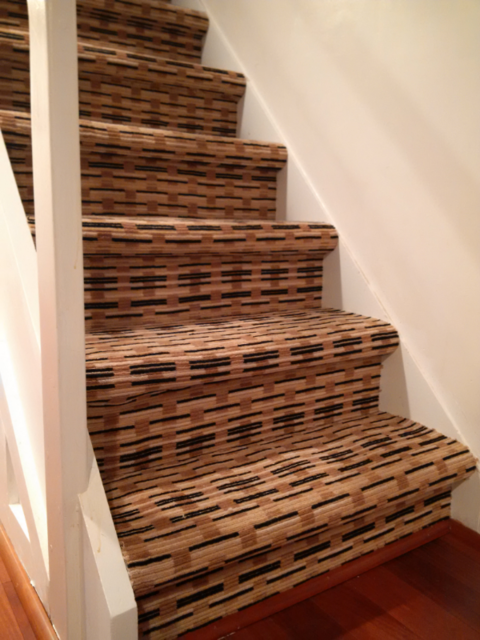 Thank you very much for showing your confidence and giving us opportunity to find you a beautiful carpet of your choice. Thanks for your kind appreciation as well.